Learn about a local hair guru who specializes in customized NBR extensions that give the look of natural extra volume without the fuss. Michele Halbeisen is the founder behind Salon Mosaic, a small salon located in Salon Lofts in the Madeira/Kenwood area. Michele Halbeisen always wanted to be her own boss. So, when the opportunity arose for her to be just that, she took a leap of faith and ran with it. Today, she is the owner of Salon Mosaic, located in Salon Lofts in the Madeira/Kenwood area. Running her own small salon on her own terms allows Halbeisen to create her own prices, hours, and services as she sees fit. In doing this, she is able to give her clients a personal, private feel when they step inside her salon, something that is unique in comparison to other salons. According to Halbeisen, Salon Mosaic that you can’t get just anywhere: Natural Beaded Row (NBR) extensions. “NBR is the concept created by Danielle White, and it incorporates hand tied wefts of human hair into your own hair, attached to minimal points on the head in rows, which are placed in the hair by creating a ‘track’ with an exclusive bead and string technique,” she explains. There are multiple benefits to NBR extensions, Halbeisen explains, including a significantly reduced risk of damage to your hair. Salon Mosaic offers NBR extensions – unique extensions that look and feel natural. Not only are these extensions uniquely placed on the head, Halbeisen also takes the time to customize the extension colors for each client who walks through her door. Halbeisen says that she chose to train in NBR extensions and offer them at Salon Mosaic so that she could stand out as a specialty salon that offers a service not currently available in this area. Prices for NBR extensions range from $800-$1,200. The range in price reflects a differences in length, thickness, and color that’s needed to achieve a desired look. Halbeisen says that customers looking to add a bit of fullness but aren’t envisioning mermaid hair then the prices are on the lower end. The ultra, full, long, dreamy Victoria’s Secret model hair is on the higher end. “Either way, I will do what is necessary to customize the layout and color just for you,” she says. Halbeisen says that she practices and trains nearly everyday with the NBR method and is looking forward to traveling again in the next year for more on-site, in-depth training in Laguna Beach at DKW Styling. To learn more about Salon Mosaic, visit https://www.cincysalonmosaic.com and watch our Editor-in-Chic’s exclusive review video below. Three women are teaming up and launch a new salon and spa in the heart of downtown Maineville. Learn more about this new mecca for all things beauty. North Cincy Salon and Spa offers beauty services in a traditionally modern atmosphere. Stacey Becker, Jackie Miller, and Jaci Woods are the founders because Maineville’s newest salon and spa North Cincy Salon and Spa. Together the three women have nearly 50 years of experience in the salon and beauty industry to offer clients quality and modern hair, nail, and skin services. “We want to be the go-to for women and men for all things beauty in a part of town where this type of service is lacking and much appreciated,” says Co-Owner Jaci Woods. Woods say she and her business partners were inspired to launch North Cincy Salon and Spa when they wanted to develop a concept for a salon/spa that would benefit both clients and stylists. While giving beauty entrepreneurs the chance to build their own brand and business, North Cincy Salon and Spa will also give clients the ability to choose their service providers and deal with them on a personal advantage as well as take advantage of all of the many services offered under one roof. Currently at North Cincy Salon and Spa you will find a variety of hair services available including the latest trends in cut and color,nail services such as manicures and pedicures, and the most popular new service – microblading. North Cincy Salon and Spa also plans to incorporate as many services as possible in order to help meet the needs of every client that walks through its doors. In addition to its passion for providing for all of its clients, North Cincy Salon and Spa is unique in both its concept and quality. Considered a “hybrid,” of a typical salon and a loft situation, North Cincy Salon and Spa offers the best of both worlds. Clients at North Cincy Salon and Spa are able to choose who provides their services according to what they need and way, and can rest assured that they will always be taken care of in a welcoming and uplifting environment. “The quality of services and products offered at North Cincy Salon and Spa will be a unique and welcome addition to the North Cincy neighborhood of Maineville, which is quite convenient and frankly lacking to many who live in and work in the northern boroughs,” adds Woods. Woods says that 2019 is looking very bright for North Cincy Salon and Spa. She says this coming year will focus on growth as the salon and spa takes on nearly 3,000-square-feet of space in addition to the already-established business. To learn more about North Cincy Salon and Spa, visit their website (coming soon!) or check them out on Facebook and Instagram. You can also learn more about North Cincy Microblading on the website, Facebook, and Instagram. A new concept skincare bar is opening soon in Over-the-Rhine. Keep reading for all the fresh-faced details! Oasis Face Bar will offer quick and effective treatments with non-invasive equipment, similar to a blowout bar. Molly Bower has been in the skincare industry for 6 years. In that time, she’s opened three businesses – Columbus-based Skin Oasis in 2012, Columbus-based Oasis Face Bar in 2018, and now Oasis Face Bar in Over-the-Rhine coming in 2019. Bower says that she was inspired to open Oasis Face Bar from her own personal life and lack of time. As the mother of a 2-year-old and the owner of a growing business, she was often finding it difficult to schedule in self care sessions. “Oasis Face Bar was my answer to that problem – it’s affordable and effective skincare services in a fraction of the time – each service is only 30 minutes,” she says. The shortened down version of the facials available at Oasis Face Bar mean that you can head out to treat yourself on a lunch break, make it an afternoon with the girls, or take some time for yourself when you have a chance. “With this concept you can kill two birds with one stone – a day out with your friends while still being able to talk to one another and get a facial at the same time – much like you would if you were getting your nails done,” says Bower. When asked why she decided to bring Oasis Face Bar to Over-the-Rhine and Cincinnati, Bower said that it was her passion to focus on up-and-coming, urban settings. There will be six “core” facials available at Oasis Face Bar, each priced at just $49. These facials include Sculpt, which includes a facelift massage and electric current known as microcurrent to lift and tone skin. There’s also Smooth, it’s a facial that includes dermaplaning using a surgical blade to remove the dead skin and peach fuzz. 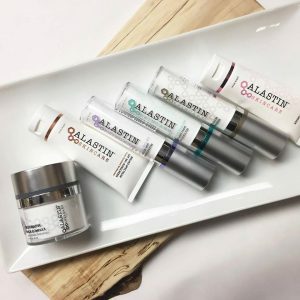 Other services include Enlighten for “evening out” skin, Clear for acne-prone skin, Gent for men, and Sooth, which Bower says she’s excited to offer. At Oasis Face Bar, the facial bar uses Columbus-based Cannuka products, which are derived from Cannabis and Manuka Honey. “We are one of the first and only skin care spas to use and retail CBD products,” says Bower. Bonus services available at Oasis Face Bar include brow waxing, lash and brow tinting, and lash lift to curl the lashes for up to 6 weeks. Oasis Face Bar also serves cold pressed juices, wine, and sometimes even a little bourbon. Oasis Face Bar prides itself on the fact that it offers cutting edge services at a fraction of the cost. “We do this to make healthy skin care habits accessible to everyone,” adds Bower. With a planned opening for the first or second week of January 2019, Bower says Oasis Face Bar Over-the-Rhine will be located at 1345 Walnut Street, one street east of Vine Street and one street west of Main Street. Keep your eyes open for the launch of the new location, and when they do open, use code “cincychic” for 50% off your first service at Oasis Face Bar. Learn about a local microblading studio that one local lady started because she knows her clients' struggles all too well. Read on for more. Better Brows is a new Cincinnati microblading studio. Alexia Triantafilou has always been obsessed with eyebrows. Even as a kid she was always the friend doing others’ eyebrows. But there was one thing she noticed – there were always others struggling with their brows in some way – including herself. Today Triantafilou is the owner of Better Brows, a microblading studio that empowers others to be their most confident and elegant selves. 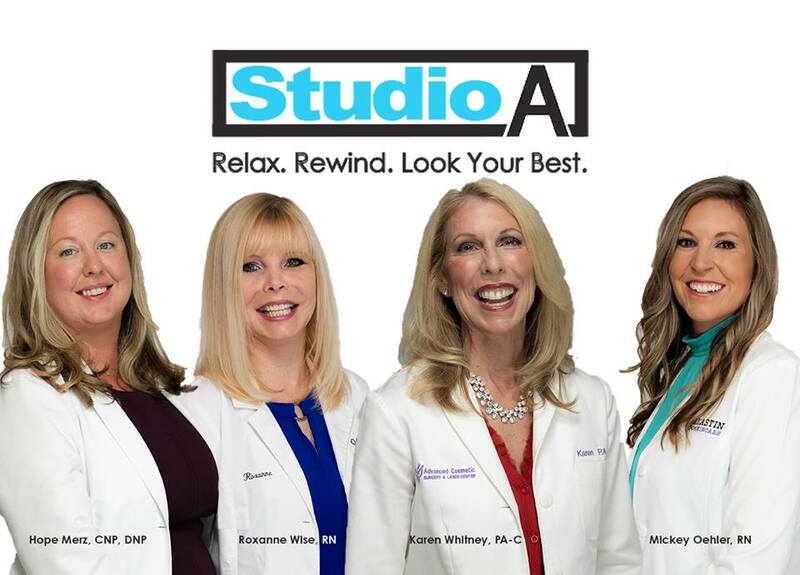 “Our award-winning process guarantees perfect symmetry and focuses on individual hair strokes to achieve a subtle, natural beauty customized to you personally in a fun and engaging environment,” she says. Better Brows specializes in microblading, a form of semi-permanent makeup that gives the illusion of real hair-like strokes. According to Triantafilou, the procedure is done with a manual hand tool where pigment is inserted into the skin, creating very crisp strokes and giving very natural results. An appointment to have microblading done lasts about two hours and includes the consultation, brow design, microblading, and after care. The microblading part itself takes just about 40 minutes. To make clients feel even more sure of their decision to have their eyebrows microbladed at Better Brows, Triantafilou says that she pays extra attention when it comes to safety. “Safety is important to us as we use pre-sterilized and disposable tools as well as hospital-grade wipes to wipe down all surfaces and instruments,” she says. The ultimate goal behind Better Brows is to make clients feel like their best selves and to customize each service to the person. One of those artists Triantafilou has trained with was featured on Good Morning America and Marie Claire Magazine. Another artist has a MAster title at the top academy in the world for microblading, Philbrows. Triantafilou says that while she’s currently only offering microblading, eyebrow threading is in the works and will be offered soon as well as additional brow services. Currently, Better Brows is running a special for the holidays. For $350 you will get you first appointment as well as you 6-week touch up. Better Brows is located in the Blue Ash area in Salon Sean at 4169 Hunt Road. To learn more about Better Brows, visit betterbrows.net. You can also follow along on Instagram, send her an email at betterbrows.cincy@gmail.com, or give her a call at 513-702-0818. From innovative updos to textured waves and dimensional color work, learn about a West-side salon that's leveraging social media to showcase her work. Mary Baute of Primp offers hair services at JCPenney in Colerain. Mary Baute is a Master Stylist at JCPenney Salon Stonecreek Towne Center location in Colerain. 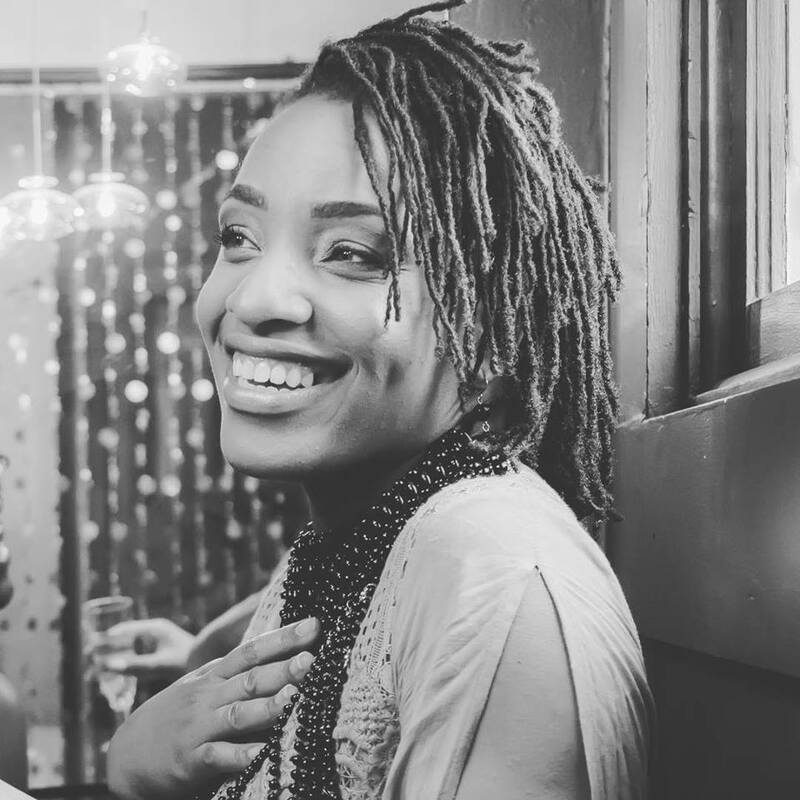 Baute wanted to find a way to connect with clients while showcasing her range of art, so she launched the “Primp Cincinnati” social media accounts on Facebook and Instagram. From innovative updos to textured waves and dimensional color work, Primp Cincinnati is a page that’s solely focused on posting photos of Baute work — not selling products or running promotions. At her JCPenney-based salon, Baute offers a variety of salon services ranging from haircuts to updos, to balayage and ombre. She also offers waxing and eyebrow shaping services. “And everything in between,” she adds. With 12 years of salon experience, Baute says that she’s always learning new techniques and trends so that she can provide clients with the latest and greatest hair salon services available. The salon is located at 3675 Stone Creek Blvd. in Cincinnati. To learn more, follow along on Facebook or Instagram. A soon-to-come salon wants you to feel beautiful -- and like family -- as soon as you walk through the doors. Click here to learn more. Amanda Fitzpatrick is a wife, mama, salon entrepreneur, and a skincare business owner. She’s also adding rebranded salon owner and building rehabber to her resume after launching (and soon-to-open) Haven Modern Hair Studio. Fitzpatrick says she was inspired to launch Haven 10 years ago when she was operating under a different business name but wanted to try a few different salon scenarios. Alongside Fitzpatrick at the salon is Ryan Fultz, whom she met in hair school 12 years ago. The duo has forged a friendship unlike any other. “While we saw all of our personal dreams coming true, we knew that while our current location was doing great, something just didn’t feel right,” she says. Haven will offer everything from cuts and color to keratin treatments and extensions.